The Woodbury Banking Company, a tiny bank located in Woodbury, Georgia, was closed today by Georgia state regulators. The FDIC, appointed as receiver, sold the bank to United Bank, Zebulon, Georgia, in order to protect depositors of the failed bank. 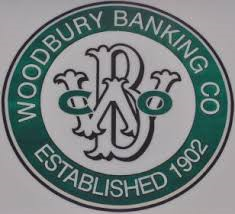 Founded over a hundred years ago in 1902 The Woodbury Banking Company remained a very small bank with only one branch and only about $21 million in total assets. The sole branch of The Woodbury Banking Company will reopen on Monday as a branch of United Bank. Over the weekend depositors will have access to their funds through the use of checking accounts, ATM machines, and debit cards. All customers of The Woodbury Banking Company will retain full FDIC deposit insurance coverage up to the applicable limits. As of June 30, 2016, The Woodbury Banking Company had $21.1 million in total deposits and $21.4 million in total assets. United Bank, under the purchase and assumption agreement with the FDIC will purchase $17.8 million of the failed bank’s assets with the remainder to be retained by the FDIC for later disposition. The cost to the FDIC Deposit Insurance Fund is estimated at $5.2 million. The Woodbury Banking Company is the fourth banking failure of 2016 and the first banking failure in Georgia this year. The last banking failure in Georgia occurred on October 2, 2015 when regulators closed The Bank of Georgia, Peachtree City, GA. The number of banking failures has dramatically declined during 2016 from previous years.